China is the top producer of rare earths and also holds the largest reserves. Which other countries made the list in the rare earth mining space? The rare earth mining sector had its ups and downs in 2017. Prices were bolstered by shortened supply as a result of the closure of illegal mines in China, but fell down towards the end of the year when demand reduced. 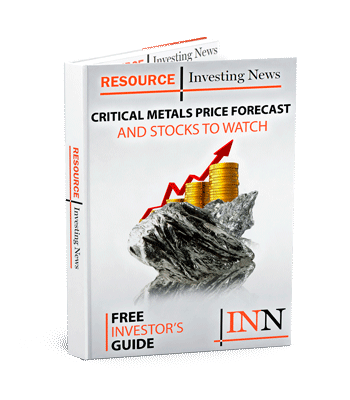 Rare earths neodymium and praseodymium were bright spots as attention from the electric vehicle sector boosted their prices by as much as 50 percent. With more activity in the rare earth mining space, it’s worth looking at which countries have the highest reserves. While in many cases the world’s major rare earth mining producers hold large amounts of reserves, some countries have low rare earths production and high reserves. Case in point: the US did not produce any rare earths in 2017, but its reserves are the seventh-highest in the world. It’s possible that countries like this could become bigger players in the space in the future. On that note, here’s an overview of rare earth mining reserves by country, with a focus on the seven countries whose reserves are over 1 million MT. Rare earth mining reserves by country data is taken from the US Geological Survey’s most recent report on rare earths. Unsurprisingly, China has the highest rare earth mining reserves at 44 million MT. The country was also the biggest rare earths producer in 2017 by a long shot, putting out 105,000 MT. Back in 2012, China declared that its rare earths reserves were declining, but in 2016 the country announced it was “boosting” domestic reserves. Since then, more than 1,600 geological surveys have been conducted on an array of commodities in China, and as a result the country’s rare earth mineral base has been expanded by 171,000 tonnes. The country has also taken stern and effective measures on illegal rare earth mining. China has cleaned up its supply chain with a zero-tolerance trade approach, which has resulted in the closure of illegal mines and those non-compliant with environmental regulations. It’s worth noting that the trade war between the US and China has caused issues with rare earths. Most recently, in September, the US left rare earths off its increased tariffs list, but China did not return the favor. This has called for the US to push for more domestic rare earths mining. While Brazil was the fifth-largest producer of rare earths in 2017, putting out 1,100 MT, it holds the second-largest reserves in the world at 22 million MT. An $8.4-billion rare earths deposit was discovered in 2012 in Brazil, although not much has come out of the discovery. With that said, it’s easy to see why the country’s reserves are so high. Russia was the third-largest rare earths producer in 2017 and it also holds the third-highest reserves. Last year, the country ramped up its production to 3,000 MT; its reserves currently stand at 18 million MT. Russia’s consumption of rare earths is expected to exceed 180,000 tonnes annually by 2020. India’s rare earths reserves sit at 6.9 million MT, significantly less than China, Brazil and Russia. The country produced 1,700 MT of rare earths in 2017, but an October 2016 article in the Economic Times suggests that the country is “not realising [the] potential of [its] rare earth industry.” The publication states that India has nearly 35 percent of the world’s beach and sand mineral deposits, which are significant sources of rare earths. Since then there have been other sources pushing for more mining in India, including the report “Mine in India to Make in India,” released at the India Mining Summit 2018. It’s too soon to tell whether this ongoing encouragement will get traction in the country. While Australia was the second-largest rare earth mining country in 2017 at 20,000 MT, it has only the fifth-largest reserves in the world. Currently its reserves stand at 3.4 million MT. Rare earths have only been mined in Australia since 2007, but output is expected to increase moving forward. Lynas (ASX:LYC) is currently operating the Mount Weld mine and concentration plant in the country; it also operates a rare earths refining and processing plant in Malaysia. Mount Weld produces up to 66,000 tons of concentrate each year containing 26,500 tons of rare earth oxides. Some have suggested that Australian producers will benefit from cuts in Chinese rare earths production this year, expecting more favorable prices and higher demand. Greenland did not produce any rare earths in 2017, or even in 2016 or 2015. Even so, its rare earths reserves are the sixth highest in the world at 1.5 million MT. Plans are in the works for a massive uranium mine in the country, and it would also be the world’s second-largest rare earths operation. Called Kvanefjeld, the project is held by Greenland Minerals and Energy (ASX:GGG), which the West Australian says is “paving the way for the world’s largest Jorc compliant rare earth deposit to be mined.” Together with Shenghe Resources (SHA: 600392), the company is currently awaiting a prefeasibility study, and hopes mining will start at the project by 2021. As mentioned, the US didn’t have any rare earth mining in 2017. The lack of the production was reportedly the result of mine suspensions in 2015. Even so, rare earths reserves in the country are high, and stand at 1.4 million MT. Despite not mining these reserves, the US imported roughly $150 million worth of rare earth metals and compounds in 2017. These were used for things like catalysts, ceramics and glass, metallurgical applications and alloys and polishing. The lion’s share of the imports came from China, at 78 percent, with small amounts from Estonia, France and Japan. Interestingly, Russian billionaire Vladimir Iorich has turned his attention to rare earth mining in the US. In 2017, Iorich reportedly put a bid on the Mountain Pass mine, which was run by Molycorp before the company went bankrupt. In the end, the mine was bought by MP Mine Operation, which is majority owned by JHL Capital Group and QVT Financial. So far it is unclear if this acquisition will mean rare earth mining will come back to the US, but Mountain Pass is currently on trial for reopening. As mentioned, there has been more pressure for the US to mine rare earths due to the trade war with China. In total, global rare earths reserves amount to 120 million MT. While times are currently tough in the rare earths space, it will be interesting to see how the above countries contribute to supply in the future.